We have raised $82,146 and have only $17,854 more to reach our goal of $100,000. Congratulation! We are almost there. At the Diocean Convention we learned that the Diocese is projecting a budget deficit for 2019. So considering that there are mission churches that are hurting for funds to just stay open, we are among the fortunate ones. For 2019, we suspect that we will need to replace at least one air conditioner this summer as well as fix some items that have not been revealed. The repairs that we are aware of include: Repairing the lamp on the far parking lot, replacing the cross on top of the church, fixing the stucco on the church, power washing and painting the church and grounds, fixing lighting inside and outside of the church and columbarium as well as upgrading our alarm system for Hasler Hall. Rev Pat and the Bishop's Committee decided to conduct fund raisers and to launch a capital campaign to raise $100,000. The capital campaign drive has been restarted to raise the additional money we need to upgrade our fire alarm system in Hasler Hall. 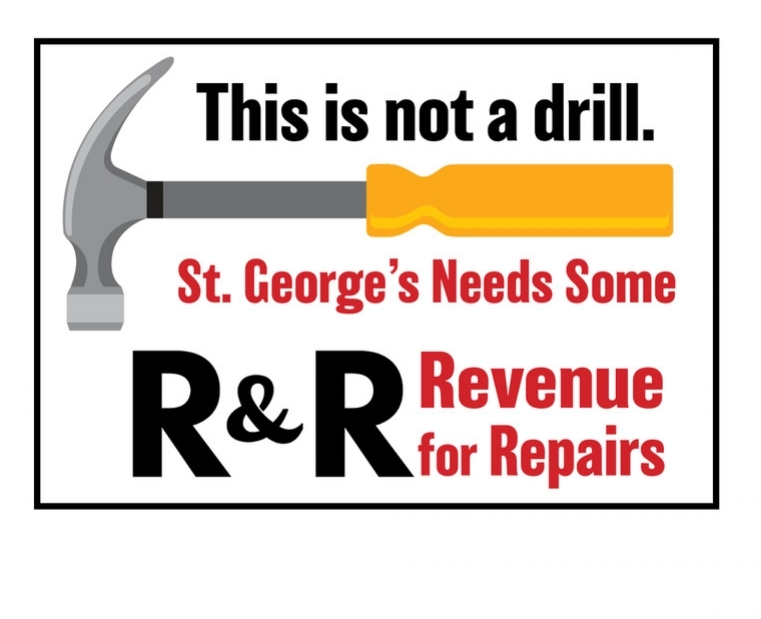 We are almost there only $17,854 more to go and we know that our St. George community is up for the challenge. Our system is the original and parts are challenging to come by. Estimates for the upgrade (to current standards) range from $35,000 to $50,000. Your HELP and PRAYERS are NEEDED!